One added benefit to purchasing gold coin sets is that they are easily stored. Some investors prefer to store their gold and silver coins at home where they can be easily accessed should the need arise. In this case, it is beneficial to have a secure safe installed, especially one that can be installed into a wall or a floor for extra security. Another option would be to rent a safety deposit box from a bank. 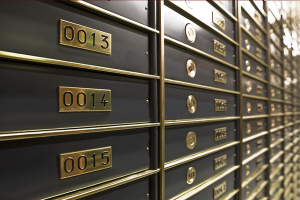 Please keep in mind that when renting a safety deposit box, insurance on the stored items usually has to be purchased separately. If you would prefer to have your gold coins securely stored in a vault, all Gold Investments customers can choose to have us store their gold at the London Silver Vaults at a rate of £4 per ounce per year. 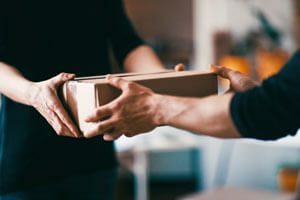 We offer insured worldwide delivery, or you also have the option to pick up your gold coins personally at our London office. To do so, please either call us at 0207 283 7752 or send an email with your request to info@goldinvestments.co.uk, and we will be more than happy to set up an appointment. Our offices are open weekdays from 9:00 am to 4:30 pm, with online trading available 24 hours a day. Since we have been in the gold trade for the past 30 years, we know the ins and outs of the gold trade, can offer competitive pricing, as well as offer expert advice in regards to your investments. We are a family owned business, and customer service is our number one concern. Please do not hesitate to contact us with any questions or concerns you may have. We offer storage options to any Gold Investments customers. Physical gold bars are kept at the London Silver Vaults for £4 per 1oz gold per annum. Fully insured and independently audited. You can arrange to collect your gold bars from our central London offices – please contact us to set up an appointment and we would be happy to arrange it.